Madeira is both and island and the name of a Portuguese archipelago, of which the island is a part of, that is one of two Autonomous regions of Portugal (the other being the Azores). It’s a popular tourist destination spot and gives its name for Madeira wine, a fortified Portuguese wine. Whereas port is producted in the northern provinces of Portugal, Madeira is produced only on the island of Madeira. Much like how the Balvenie 21 Port Wood is finish in port pipes, the Balvenie 17 Year Madeira Cask is finished in Madeira casks. If you’ve been following my blog for any period of time, you’ll probably know that I’m a little biased towards Balvenie. Their DoubleWood is an exceptional dram for the price and style, at least in my book, and their other bottles aren’t far behind. In my first tasting, I knew that this would be dangerous for my wallet. On the nose, it’s sweet, with a hint of cinnamon and a little muted fruitiness. There is, of course, that splash of vanilla as well. As for taste, it follows through what you got in the nose, with sweetness paired with fruitiness and some spices on a medium bodied dram. The finish is smooth but doesn’t surprise you in any way, it just continues the same note from nose to palate to finish. 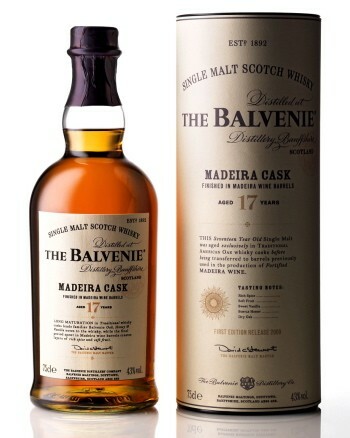 It makes me eager to try some Madeira dessert wine, in order to fully understand how the maturation in Madeira Casks affects the whisky (if you’re familiar with port, then you can immediately sense the port influence on the Balvenie Port Wood – I want to have that same feeling). 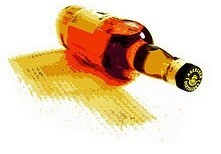 This entry was posted in Tasting Notes and tagged Balvenie, Balvenie Doublewood by Jim. Bookmark the permalink.